Try using some Roman-alphabet transcription. There aren't many of us who can read the Phoenician alphabet. Now for Semitic languages. I used Conjugate On The Coolest Verb Conjugator | Cooljugator.com for Hebrew and Arabic, Aramaic Skeleton Grammar, and Akkadian at the Language Gulper. Note that the present/future tense here has both prefixes and suffixes in its conjugation. THe persons are 1, 2m, 2f, 3m, 3f -- yes, those verbs distinguish masculine and feminine in their conjugations. They somewhat resemble each other, but they resemble each other much more than they resemble the Indo-European ones. and infixed in Latin, so its important to aknowledge prefix, suffix and infix metathesis and some verbs may contain a preposition or a middle voice or a mood or irregular verbs. Middle Voice is the active voice + dative person pronoun and function the same way in Greek and Phoenician. 𐤋 functions the same way as τῷ, δ, ad. Last edited by Ethan on Fri Feb 22, 2019 11:10 am, edited 1 time in total. Phoenician usually follows the English order. ămo = 𐤀‬𐤀𐤄𐤁‬ = ἀγαπῶ "I love"
amās = 𐤕‬𐤀𐤄𐤁‬ = ἀγαπᾷς "You love"
amat = 𐤉‬‬𐤀𐤄𐤁 = ἀγαπᾷ "He love"
dixi = 𐤅𐤀‬𐤀𐤌‬𐤓 = ἔειπα "I said"
dīxistī = 𐤅𐤕‬𐤀𐤌‬𐤓 = ἔειπας "you said"
dīxit = 𐤅𐤉‬𐤀𐤌‬𐤓 = ἔειπε "he said"
dīximus = 𐤅𐤍‬𐤀𐤌‬𐤓 = ἔειπαμεν "we said"
dīxistis = 𐤅𐤕‬‬𐤀𐤌‬𐤓𐤅 = ἔειπατε "Y'all said"
dīxērunt, dīxēre = 𐤅𐤕‬𐤀𐤌‬𐤓𐤍𐤄 ,𐤅𐤉‬𐤀𐤌‬𐤓𐤅 = ἔειπαν "they said"
ēligō, ἐκλέγω, 𐤀𐤋‬𐤒𐤈‬ "pick out" . (ex + legō), the preposition is suffixed as the 𐤈‬. 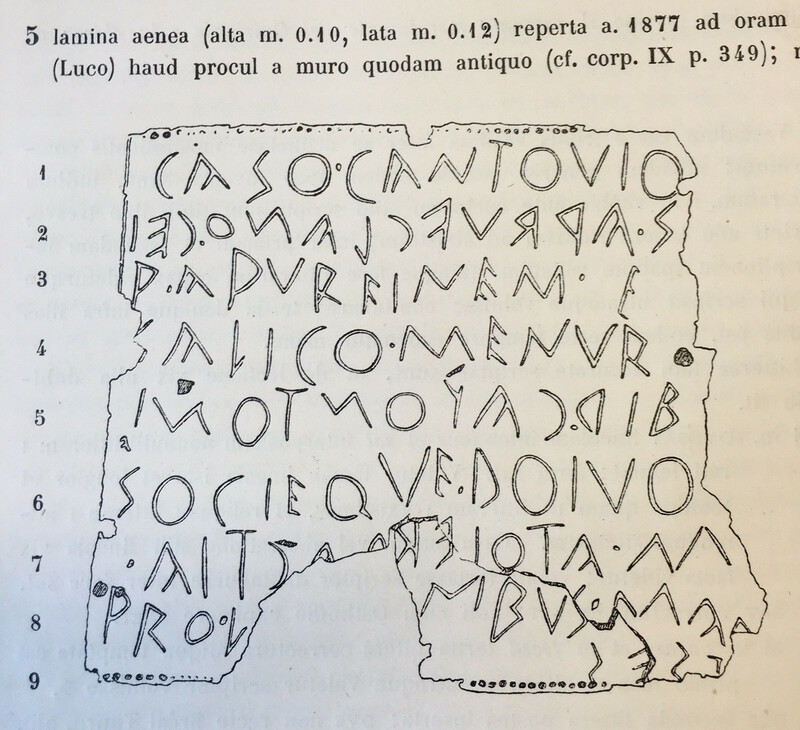 I'd like to see Roman-alphabet transcriptions of everything written in any other writing system. Especially Hebrew and Phoenician and similar. In any case, I thought of summarizing the verb systems of Latin, Greek, and Hebrew, but I gave up. They are too different. I didn't want to give a detailed introduction to Indo-European and Semitic comparative linguistics. If people can read the Roman-alphabet then they can read the parent alphabet, Ancient Latin was written in a more Phoenician like script. The verb system of Phoenician is very simple, easier then Greek and Latin because its very English. - Them" in Phoenician is "Lem" (𐤋𐤄𐤌) compare with ἀυτοῖς & eis. Initial 𐤅 is the augment.